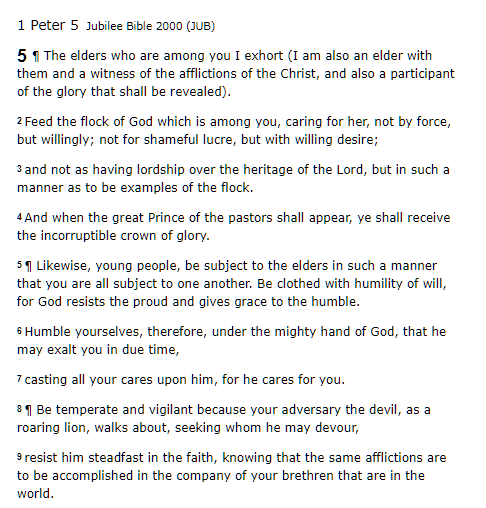 What do the paragraph markings in the Jubilee Bible 2000 translation mean? 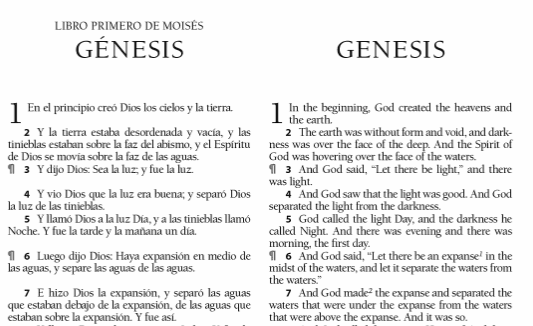 Reading the translator's notes, I see that it was translated from an English version by William Tyndale and a Spanish version by Casiodoro. Maybe these signify something related to these two texts? Maybe when the paragraphs started in one of these texts? I was not able to find anything specifically related to the paragraph markings in any of the articles in the front and back of the Bible. Short answer: these paragraph markings are editorial decisions made by the translator, and don't appear in the translations he mentions as his primary sources. Paragraph markings are a relatively recent phenomenon – most older translations simply presented the text verse-by-verse, including the KJV and Reina Valera Antigua. At the time, such a presentation was innovative – the system used today to mark New Testament verses was only introduced in 1551. Now, of course, verse divisions are ubiquitous, and in order to improve the flow of the text for modern readers, translators have divided the text by paragraphs as well. Like the verse divisions, they are also editorial, but there is less agreement over paragraph divisions. Thus, most modern translations of the Bible are presented with running text, in which the text is divided into paragraphs, such that each verse does not start its own line. For example, see the same passage in the ESV: verses 1–5 are all one paragraph, and it's only a coincidence when a verse starts on a new line within that paragraph. But that's not how the translator of the Jubilee Bible broke down the text – he preserved the verse-by-verse layout, but marked new paragraphs with the paragraph symbol. Sadly, he seems to have not explained why, but considering his emphasis on preserving some elements of older translations like the KJV, it seems likely that he wanted to both (1) preserve the verse-by-verse rendering of older translations but (2) indicate the organization of the text to modern readers who expect paragraphs. Not the answer you're looking for? Browse other questions tagged bible bible-translation or ask your own question. Non-Christian/secular translation of the Bible? What specific scholarship is there behind the New World Translation? What determines the denominational “value” of a given Bible translation? Where is the italicization in the King James translation of the Bible from and what does it mean?